Eric Marsh (Josh Brolin) of the Prescott, Arizona Fire Department is an expert at fighting forest fires, but he and his team have to take a backseat when ‘hotshot’ Type 1 front line firefighters, even if they don’t know as much as he does. He plans to become the head of the first municipal firefighting team to achieve Type 1 status. A film about the Granite Mountain Hotshots firefighter crew from Prescott, Arizona has been in the works for a while. 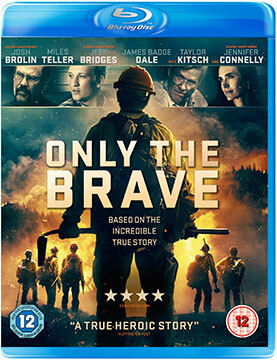 Now it’s on its way, under the new title, Only The Brave, which has just released its first trailer. If you’re going to make your directorial debut, there are easier project than an adaptation of an acclaimed Pulitzer Prize-winning novel, by a man considered one of the great American living men of letters (especially if you’re British). However, that’s what Ewan McGregor has done with American Pastoral, based on Philip Roth’s novel, which he may have taken on partly due to the fact it was stuck in development hell due to a never-ending parade of directors coming and going. Now a trailer has arrived to give us our first look at the movie. Here’s the official synopsis: ‘Based on the Pulitzer Prize-winning Phillip Roth novel, AMERICAN PASTORAL follows a family whose seemingly idyllic existence is shattered by the social and political turmoil of the 1960s. Ewan McGregor (Salmon Fishing in the Yemen, Beginners) makes his directorial debut and stars as Seymour “Swede” Levov, a once legendary high school athlete who is now a successful businessman married to Dawn, a former beauty queen. But turmoil brews beneath the polished veneer of Swede’s life. Ever since Philip Roth’s brilliant American Pastoral won the Pulitzer Prize, there’s been talk of making it into a movie. Everyone from Fisher Stevens to Philip Noyce have been attached to direct at one time or another, but all have dropped out before is went before the camera. Last year Ewan McGregor, Dakota Fanning and Jennifer Connelly came onboard to star, and now it turns out Ewan won’t just be in front of the camera, he’ll be directing too. It’s certainly a brave more to make for his debut helming debut, as it’s an acclaimed and complex book he’s working from. American Pastoral is about Swede Levov (McGregor), a legendary high school athlete who grows up to marry a former beauty queen and inherits his father’s business. However his seemingly perfect life is shattered when his daughter (Fanning) rebels by becoming a revolutionary and committing a savage act of political terrorism during the Vietnam War. The decades-long journey to get Philip Roth’s Pulitzer Prize-winning novel American Pastoral onto the big screen finally looks like it might be coming to fruition, with Philip Noyce in place to direct and Ewan McGregor recently signing on to star. Now he has a co-star, as Jennifer Connelly has joined the movie. Connelly will play Dawn, the wife of McGregor’s Swede Levov. Swede is a legendary high school athlete who grows up to marry a former beauty queen and inherits his father’s business. However his seemingly perfect life is shatteeds when his daughter rebels by becoming a revolutionary and committing a savage act of political terrorism during the Vietnam War. We’ve still got a while to wait for the movie though, as is won’t start shooting until March 2015. For years Darren Aronofsky tried to get his epic version of Noah off the ground, but it never seemed likely to really happen. His only previous foray into big budget filmmaking, The Fountain, turned into a bit of a disaster, with only part of the movie actually made (due to studio intervention) and what was left being confusing and making little money at the box office. 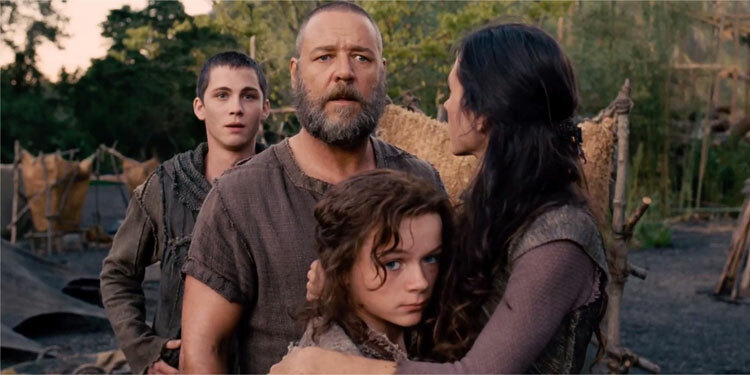 It hasn’t been a smooth road to the big screen for Darren Arnofsky’s Noah. It took him years to get backing for the movie and it seems even after the gave it the greenlight, Paramount has still been a little nervous, particularly trying to ensure Christians – who could be a massive audience for the movie – would like this idiosyncratic take on the bible story. Now four character posters for the film have been released – featuring Russell Crowe, Jennifer Connelly, Logan Leman and Ray Winston – and Aronofsky has been talking to THR about the difficult he had with test screenings. It’s not too long until Noah hits cinemas, and to help keep interest in Darren Aronofsky’s biblical epic, a new international poster for the movie has been released. 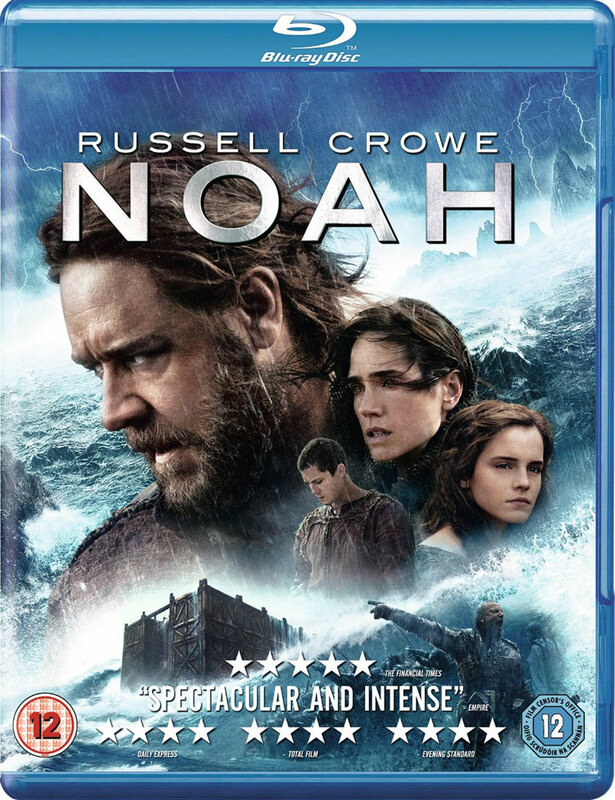 The film follows Noah (Russell Crowe), who lives on a vast plain of volcanic ash in the lee of a volcanic glacier (the movie was largely shot in Iceland) and has to trek up a mountain every day to get to work. He is told by God to build an enormous vessel to house both his family and the animals of the world to preserve them from a flood that promises to wipe out a sin-filled world. It’s currently due for release on March 28th, 2014. While in the US this film will reach cinemas simply a Winter’s Tale on February 14th, for some reason in the UK it’s be A New York Winter’s Tale when it arrives here on February 21st. Now a lengthy new trailer has arrived for the movie, which stars Colin Farrell, Russell Crowe, Jennifer Connelly and Downton Abbey‘s Jessica Brown Findlay.